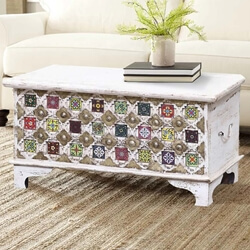 Maximize your furniture budget and storage space with a multi-functional Coffee Table Chest. 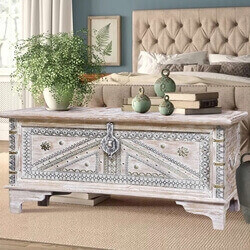 Our exciting collection of handmade accent table chests are built by skilled craftsmen using classic techniques with extra attention to details. 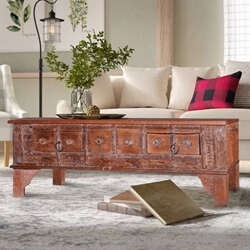 AND…oh yes, our dynamic collection of living room chests are filled with exciting design details that will add to and even transform your living room, family room, activity room, or study. 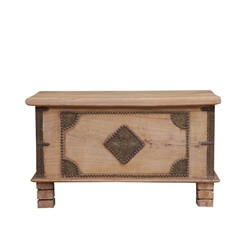 Each multi-use storage box is built with solid wood, never veneers, plywood, or press wood. 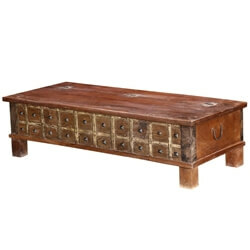 We use premium hardwoods including Indian Rosewood, Mango wood, Acacia and Teak. 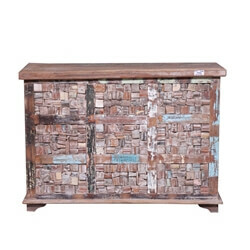 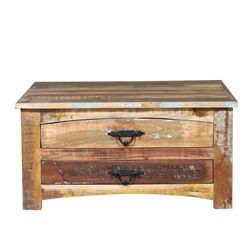 We also have an exciting variety of chest built with carefully selected reclaimed wood. 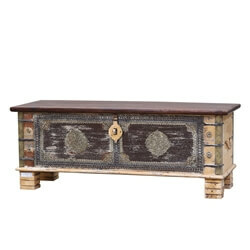 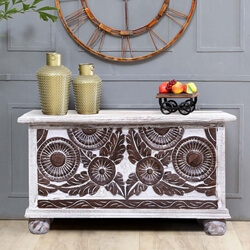 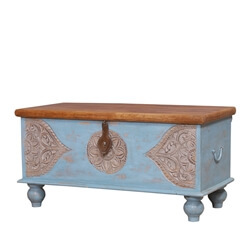 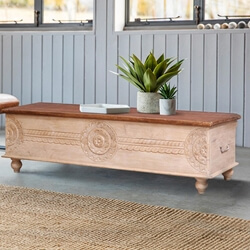 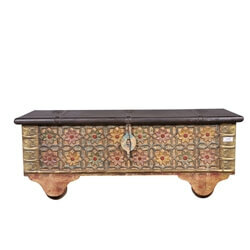 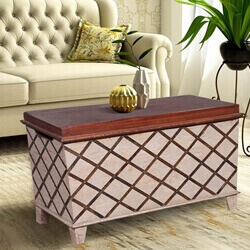 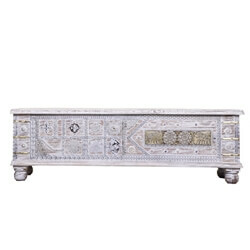 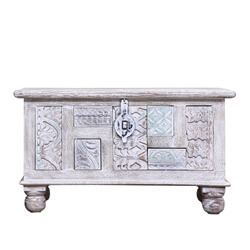 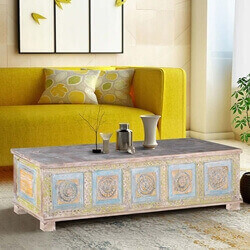 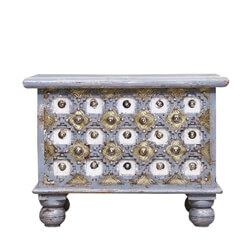 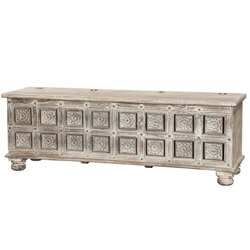 Every decorative trunk is one part coffee table, one part storage chest, and one part decorative art. 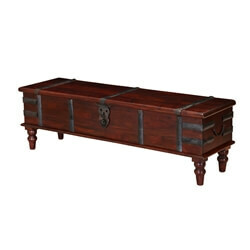 We offer over 140 uniquely different living room chests to choose from. 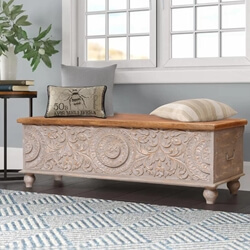 Your choices include trunks that stand off the floor and others that sit directly on the ground. 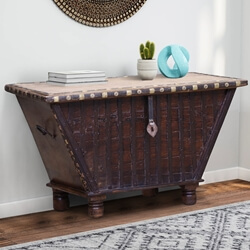 Some have lids that open from the back, other open in the center. 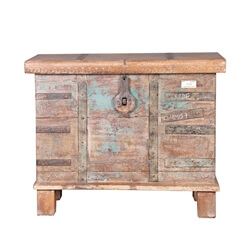 Look for trunks with drawers, sectioned interiors, and wheels. 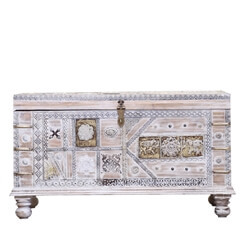 Decorative elements include side handles and latches, handcarved designs, hand painted elements, stamped words and letters, and brass or iron decorations. 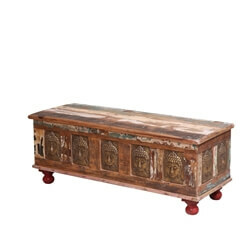 The classic steamer trunk is now a popular modern element of many interior designs. 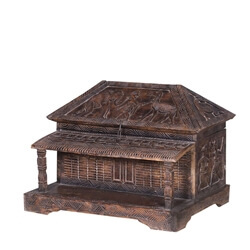 Look for traditional designs under Shaker, Gothic, Elizabethan, Lincoln Study, Mission, Tudor, Palace Gates, Camelot, Empire, and Asian titles. 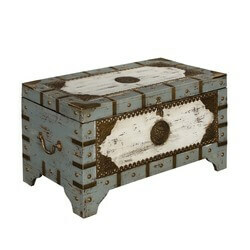 Rustic chests can be found in the Appalachian, Farm House, Log Cabin, and Primitive collection. 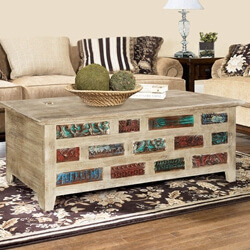 Check out our Industrial, Fusion, Santa Fe, and Impressionist modern designs. 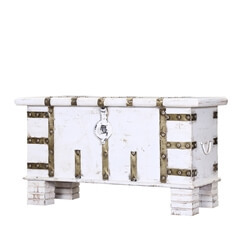 Remember, most of our trunks & chests are available for customization, so if you’d like a different shade or size, please contact us.